Schrodt and Hall Psychiatry offers a full spectrum of services to help those looking for relief from psychological distress. Schrodt and Hall Psychiatry offers a full spectrum of services to help those looking for relief from psychological distress. Dr Christopher Schrodt and Dr Stephanie Hall share an integrated approach that includes medication management and various psychotherapy modalities. They understand the subtleties and complexities of psychological issues and use an approach that addresses mind, body, and spirit. Both of them have been Board Certified in Psychiatry and have been named “Top Docs” by Louisville Magazine. We are a fee for service practice and do not accept insurance reimbursement. New patient appointments are available within a week of contacting the office. Many psychiatric problems are best managed by carefully administered and monitored medications. Often this is the best course of action in improving one’s psychological health. A collaborative psychotherapy that uses the understanding of the relationship between thoughts, emotions, and behaviors. Individuals learn techniques to directly modify distressing mental states and improve psychological health. An evidence based psychotherapy to help individuals overcome both severe and mild traumatic memories. It utilizes biological processes to help alter one’s impaired past memory processing and creates more adaptive understanding of oneself and the world. A collaborative use of one’s unconscious abilities to allow transformation of psychological difficulties. Techniques are used which can both strengthen positive qualities in the mind and uproot pathological patterns. There is a growing body of evidence of how diet and nutritional supplements can have both a positive and negative impact on one’s mental health. Individualized testing, education, and instruction can complement medication management and other therapies. Dr. Christopher Schrodt obtained his medical degree from the University of Louisville and completed his residency training in Psychiatry at the University of Massachusetts. While at UMass, he was an intern under Jon Kabat-Zinn in the Stress Reduction Clinic where he learned to teach Mindfulness Based Stress Reduction. Dr. Schrodt is trained in psychodynamic psychotherapy, cognitive behavioral therapy, and hypnosis. He is also a certified provider of Eye Movement Desensitization and Reprocessing (EMDR) and uses this extensively in his work with those who have anxiety and trauma. He has had extensive training in various meditation techniques for over 40 years, and he is a faculty member at the Passionist Earth and Spirit Center where he teaches classes in advanced meditation techniques. Dr. Schrodt has also co-led mindfulness meditation retreats for the last several years. He served as staff Psychiatrist at the Marten Center for complementary medicine and pain management at the St. Vincent Hospital in Indianapolis where he was also medical director for adult and geriatric services at the St Vincent Stress Center. For the last 18 years he has been with Integrative Psychiatry in Louisville. 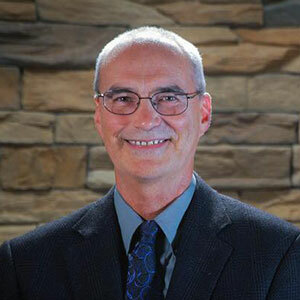 Dr. Schrodt utilizes multiple psychotherapy modalities, meditation techniques, medication management, and nutritional interventions in his work with his patients. 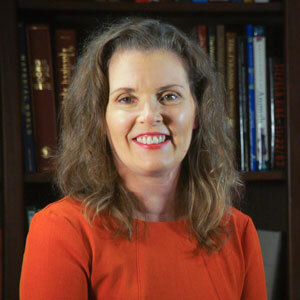 Dr. Stephanie Z. Hall, M.D. is Board Certified by the American Board of Psychiatry and Neurology. Her practice focus includes adult psychiatry (ages 18 and over), with interests in Transcranial Magnetic Stimulation, Women’s Psychiatry, and Adult ADHD. Her undergraduate degree was in English at Furman University, where she achieved membership in the honor society Phi Beta Kappa. She completed medical school at the University of Cincinnati College of Medicine, where she was awarded membership in Alpha Omega Alpha, the international medical student honor society. Her residency was completed at University of Louisville Department of Psychiatry, after which time she joined the faculty with a joint appointment with the Department of OBGyn and ran the Women’s Psychiatry Clinic from 2002-2004. She was in private practice at Louisville Psychiatry from 2004-2016, where she began treating patients with transcranial magnetic stimulation in 2012. Most recently she had been Medical Director of Center One East for Centerstone Kentucky prior to joining Integrative Psychiatry in May 2017. New patient appointments are available within a week of contacting the office.